Britain is a great nation with a proud history that has been forced into subservience to the unelected bureaucrats of Brussels. 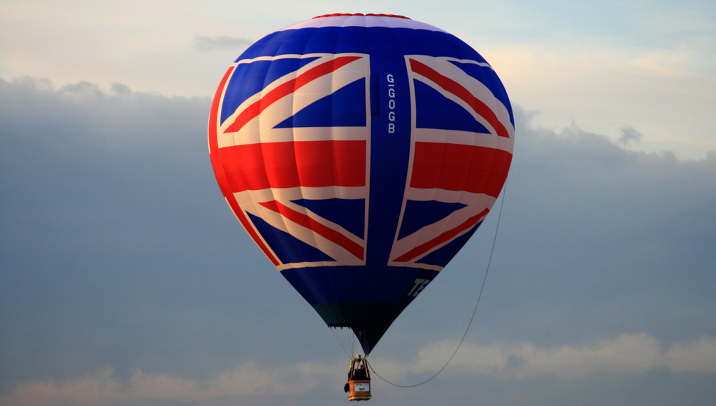 Outside the EU, Britain could resume its place as a powerful independent power. It is the world’s 5th biggest economy and 5th most potent military force with its own nuclear deterrent. It is a permanent member of the U.N. Security Council. Freed from restraints in Europe, Britain could rebuild ties with natural English-speaking allies in the Commonwealth and strengthen the Special Relationship with the United States. As long as Britain leaves the EU Customs Union and Single Market, then it can forge free trade deals with countries around the world. Remember the claim that leaving the EU would allow the UK to spend £350 million a week for the NHS? It turns out these figures were false. The UK’s contribution to the EU is actually much lower, at £137 million per week. Also, any so-called “savings” would likely be distributed across many services, so the actual figure going to the NHS would be even smaller. Not to mention the fact that the negative impact on the British economy as a whole will dwarf anything saved in terms of budget contributions to the EU. Also, nobody on the Leave side talked about staffing issues in the NHS because of Brexit, or the disruption of medical supplies from the EU (the British Minister of Health has said he ‘can’t guarantee people won’t die’ because of a no deal Brexit). Brexit is going to cost the NHS much more than £350 million a week. Over-regulation by the EU has cost the British economy over £125 billion. Freed from Brussels red tape, the UK economy would thrive like Norway or Switzerland – two of the most successful states in Europe. Britain could negotiate its own trade deals with the likes of China, the United States and Russia on terms tailor-made to suit the national interest. Trade with the EU countries would continue – it will be in their interests to maintain Britain’s access to the European free market. Taxpayers would get an immediate saving of over £20 million a day from Britain not having to pump money into the EU budget. British farmers, fishermen and small businesses would all be free from ruinous Brussels policies. If the UK leaves the EU without a deal, then it will have £39 billion to spend on supporting British companies and industries that trade with Europe, while lowering tariffs and barriers to the rest of the world. These were supposed to be the easiest negotiations in history. Both parties were starting from a position of full compliance. The EU was supposed to value the UK’s trade so much that it would bend over backwards to accommodate it. The UK was supposed to be able to cherry pick the best bits of the EU, and ignore the bits it didn’t like. Well, that didn’t happen; instead, two Brexit Ministers have resigned, the government’s negotiating strategy has collapsed, and the British political system is in meltdown. These might, in fact, be the most complicated international negotiations Britain has ever conducted. And we haven’t even started the real Brexit negotiations yet. We’re still talking about backstop and the political declaration. The real Brexit negotiations over the future trade arrangement can only begin when the UK is no longer an EU Member State, and they could drag on for years. Some trade experts predict we could still be talking about the Brexit negotiations for up to a decade. Since Poland and the other eastern European nations joined the EU in 2004, migrants have used the Union’s free labour movement rules to flood the UK. Poles are now one of the biggest immigrant groups in Britain. Immigrants arriving in Britain from the EU outnumbered Brits heading the other way by a 180,000 in 2016, placing unacceptable strains on housing, welfare and education. Lax border controls in other EU countries already make it easier for illegal migrants and terrorists to get into Britain, despite the UK staying outside Schengen. Before the referendum, the EU wanted Britain to take more refugees. Leaving the EU would allow Britain to regain control of its borders. Over half of Britain’s trade goes to the EU, bringing the country around £400 billion a year. That dwarfs any savings from not contributing to the EU budget. Over one-in-ten British jobs are directly linked to EU membership and studies show Brexit could wipe up to 10 percent from UK GDP. International companies invest in Britain because it’s a gateway to the EU’s 500 million consumers. Even if a post-Brexit UK persuaded former partners to grant it Norway-style access to the EU market, it would have to accept EU rules without any say in shaping them. Enjoy a glass of Chianti, or a slice of camembert? Thinking of retiring to the Algarve, or a weekend in Amsterdam? All of that could be harder or more expensive if Britain leaves the EU’s free trade zone and new tariffs and controls are introduced. Brits lose the freedom to travel, study, live and work in the other 27 EU countries. That’s bad news for anyone wanting a cheap, hassle-free European holiday, not to mention the over 2 million Brits currently residing elsewhere in the EU. Britain is the birthplace of modern parliamentary democracy. It is time to free it from the murky decision-making of the EU where the un-elected Commission initiates legislation, national veto rights have been steadily undermined and lack of voter interest has eroded any claims to legitimacy by the European Parliament. In all sorts of ways the EU makes life better – from lower credit card fees to cheaper roaming charges when you call family on holiday, to compensation for flight delays. The EU guarantees safety standards on everything from food and toys to nuclear power plants. Its environmental protection is the highest in the world. As the world’s biggest economic bloc, the EU’s leverage is unmatched in global talks on climate change. Brussels’ anti-trust authorities protect consumers against abuses by multinational companies. The EU guarantees equal rights and labor standards. It helps the fight against international crime through Europol and the European arrest warrant. Want to debate this question with others? Join our debate “Should Britain leave the European Union?” and add your thoughts in the comment section!